You Are Here: Home > What Is Synthetic Oil? Motor oil: it may seem like a fairly simple component of your engine, but in truth, it is one of the most crucial. It is what keeps things lubricated, clean, and operating at a healthy temperature. The team here at BMW of Stratham has put together this article to teach you what sets synthetic oil apart, and how it can benefit your engine. Schedule an oil change online today. How Is Synthetic Oil Different From Conventional Oil? Most of us are probably aware of the origins of motor oil. It comes from the Earth itself, and in its raw form can be somewhat crude. Conventional oil maintains most of its raw properties, but has received a couple additives to improve its longevity. For example, in its base form conventional oil may be incredibly thin in high heat, and very thick in the cold. Certain additives help it to endure temperature changes a little easier. Nevertheless, as conventional oil collects debris, its additives will undoubtedly start to break down. That’s when it becomes ineffective. Synthetic oil is far different. It has been chemically constructed and enhanced to fare better in radical temperatures. Special additives like rust-inhibitors and dispersants may even improve your car’s performance. It takes longer for synthetic oil to break down. As we mentioned, synthetic oil fares far better in extreme temperatures, even when there’s major friction in your engine. It has a high resistance to viscosity breakdown, so the time between changes is lengthened. You’ll have longer oil change intervals. Exactly how many miles can you get on your synthetic oil? On average, it only needs to be changed every 7,500-10,000 miles. That’s far fewer oil changes than you’d have to get with conventional oil, which may have to be changed every 3,000! There’s the potential for better fuel economy with synthetic oil. This benefit depends on the configuration of your engine. However, in many cases, drivers have seen better fuel economy when their car is filled with synthetic oil. Is Synthetic Oil Worth It For Your Car? Synthetic oil is slightly more expensive than conventional oil, which makes some drivers wonder if it is really worth it. But, for all the advantages listed above, we’d have to say that it certainly is. If you’re wondering what kind of synthetic oil to choose for your car, the best place to start is your owner’s manual. Consult it before heading to your mechanic to determine what type of oil will best serve your make and model. Has the oil light come on in your car? If so, you shouldn’t wait.  Stratham, Portsmouth, and Exeter area drivers can contact BMW of Stratham today to set up an appointment. Schedule your next oil change now.